... The Divine must Intervene. That is why I Am here—for this Great and Spiritual Process and Purpose. If Truth, Happiness, Enlightenment and Freedom is what you seek, then look no further. 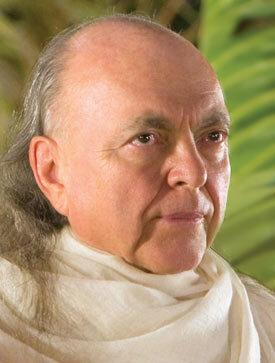 Avatar Adi Da Samraj is constantly Transmitting His Love to both humans and non-humans alike. His Purpose Forever is to Awaken everyone to the Reality that Divine Light and Love-Bliss are the very Core of existence. He can Transmit this Radiant Bliss to others, Blessing them with it, because He Is Identical with That Prior Reality. One cannot fail to appreciate the exquisite felt intimacy and Heart-Connection by which Avatar Adi Da Eternally relates to everyone. He can do this because He Radiates Living Eternal Heart-Connection to them. If you are Graced to come into His Continually Transmitted Spirit Presence by means of a video, an audio, or a retreat on one of His Spiritually Empowered Sanctuaries, then the mere Presence of the Avataric Great Sage will be all that it takes to awaken you. This will assure you that God-Realization is really possible for each of us at every moment. Avatar Adi Da Has Fulfilled and Transcended the revelation that religions promise to complete and Has Done This for all time. Living in the world to Transform it with His Love, He shattered our ordinary views of what being fully human really means. And He Created the New World-Religion of Adidam, bringing each of us joy, freedom, and liberation from the unrest around us, leaving each of us with an altogether clear picture of Who We Are and what we can become. The Great Mystery of Who Adi Da Is and What He Eternally Gives is not a claim to be believed, but a Secret to be discovered at heart. People of all kinds have already experienced the overwhelming, joyous surprise this discovery brings and have become devoted to Adi Da as their beloved Spiritual Master and Divine Liberator, as the Incarnation of Reality Itself in human form. Once the depth of His Secret is revealed, nothing is ever the same again. You find yourself embarked on a totally new journey, a journey that changes your sense of self and your understanding of the meaning and purpose of life altogether, in some of the most unimaginable and wonderful ways. We hope that you will contact us to arrange to take a class or attend an introductory event where you can learn more about Adi Da and the Way of Adidam. Phone us, if you will, at 212.726.2820 to find out about what's happening in your part of New York. You can also learn more about Adidam's worldwide community online from its Global Ashram Magazine, or visit the main Adidam events pages to locate the Adidam center nearest you. © 2011 The Avataric Samrajya of Adidam Pty Ltd, as trustee for The Avataric Samrajya of Adidam. All rights reserved. Perpetual copyright claimed.